04 Feb 2017 - The Portugese GPIAA have today issued their final report into the tailstrike on landing at Funchal, Maderia of 737-800, G-GDFC (28375/85), FF 3/08/1998, operated by Jet 2 on 17 Feb 2014. The flight evolved uneventfully until the approach phase where the aircraft encountered variable wind, both in intensity and direction. The landing checklist was not completed and significantly the speedbrakes were not armed for landing. The turbulence increased in severity below 100ft. The first contact with the runway 05 was at 6.1° of nose up pitch and a peak normal acceleration of 1.86g. The aircraft bounced to a height of 8ft and a distance of 300m due to the combination of lack of speedbrake deployment and nose up column command. Once in the air, speedbrakes were manually deployed and the nose up column input increased. The second contact on the runway occurred 4.5 seconds after the initial touchdown. The pitch attitude of the aircraft was 9.15 degrees and the IAS 142 knots. 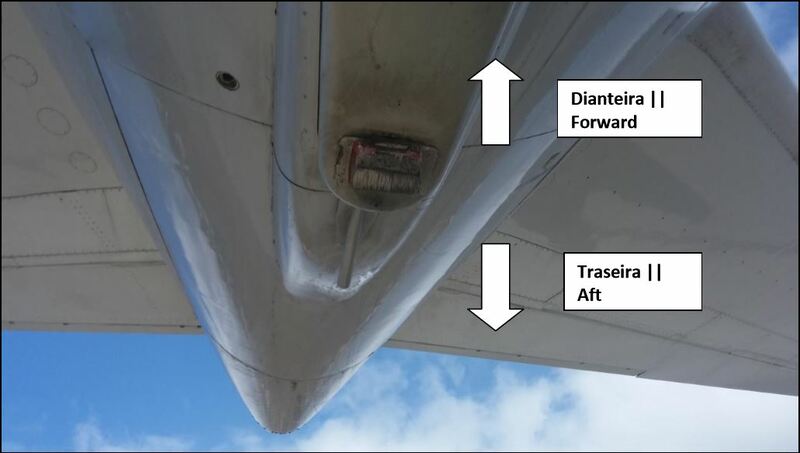 This high pitch attitude resulted in a tail strike on the runway, being the recorded load factor of 2.15 g. After the tail strike, the nose up column input reached maximum deflection immediately before the contact of the nose landing gear on the runway, approximately at 12:23:17. The landing rollout evolved uneventfully. The Captain (Age 41, 7,000hrs on 737 but only 72hrs on 737-800) was PF. The F/O (Age 25, 1,400hrs TT). The aircraft, at the time of the accident, landed with an estimated mass of 64,427 kg. "The Airport is located on a plateau on the East coast of Madeira Island. Except for the seaside, ground raises rapidly very closed to it. This fact generates, very often, wind variation and turbulence. Also severe low altitude wind shear conditions and/or micro burst are likely to be encountered. " The crew had been expecting turbulence from the TAF and METARs but the wind was within limits for the approach. The aircraft had held before commencing the approach due to traffic congestion. The aircraft that landed ahead reported turbulence in the last 150 feet. The approach was smooth and stable until 100ft when moderate turbulence was encountered with no apparent aircraft drift. The trunulence increased in intensity until at a height of around 30 feet and, simultaneously, a significant sink of the aircraft rapidly developed resulting in a firm landing at approximately 1000 feet beyond runway 05 threshold and about 5 feet left of the runway centerline followed by a shallow but prolonged bounce. It was decided not to perform the go-around with the presence of the downdraft but instead attempt to maintain the aircraft attitude with external visual references. The crew did not consider the pitch attitude of the aircraft to present a tail strike risk so a slight flare was performed before the second contact with the runway which was again firm. The contact occurred near the intersection with taxiway “C” and approximately 15 feet left of the runway centerline. The aircraft touched in the initial touchdown at 154 knots with 6.1° of nose up pitch and a peak normal acceleration of 1.86g. The recorded left and right engine N1 at touchdown were 40% and 36% respectively. The speedbrakes were not armed before initial touchdown but was manually deployed during the bouncing and shortly before the second touchdown. The highest recorded radio altimeter height in this period was 8 feet. During the bouncing the aircraft pitch attitude reduced to 4° then reached a peak of 9.15° nose up after manual spoiler deployment. The accident was due to an excessive nose up input after the first contact with the runway and at a time in which the aircraft was airborne at around 8 feet (RA) which, associated to the manual deployment of the speedbrakes and consequent loss of lift, resulted in a sharp nose up attitude (9.15⁰) to a point of causing the tail strike with the runway surface. 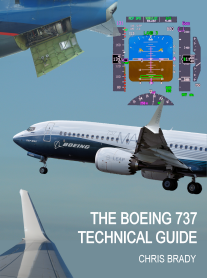 Review the recency rules regarding B737-800 variant pilots when operating at CAT C airports.